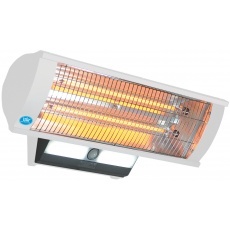 Wall mounted patio heater ideal for home and commercial use. Maximum heat output 2.3 kW. (approx. 0.26 per hour). Minimum heat output 1.15 kW. (approx. 0.13 per hour). 1.5 m long power cord. ECO option with sensor offers greater efficiency. Stylish and understated for traditional or contemporary settings. 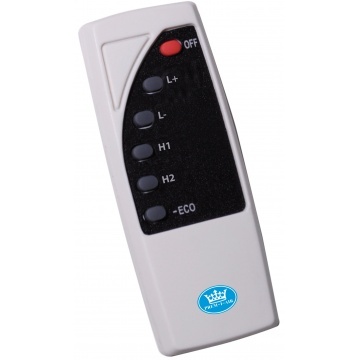 Supplied with remote control. (batteries included). Height 20 cm. (not including light).